To achieve energy self-sufficiency, the residents of Stellshagen, in Mecklenburg-Vorpommern, Germany, set up a cooperative for a local heating network supplied by regenerative energy. So far, 14 homes and a building of the local hotel are currently serviced with heating energy and hot water from the central system. Located in Northern Germany and only ten kilometres away from the Baltic Sea and surrounded by meadows and fields, is the rural village of Stellshagen, which is part of the municipality of Damshagen in North-West Mecklenburg-Vorpommern. The local bio-hotel, “Gutshaus Stellshagen” attracts visitors from Germany and abroad. Several years ago, a wood-chip heating system was installed here which subsequently reduced the cost of heating and hot water at the hotel by half. This success story persuaded the Stellshagen residents to extend the same successful sustainable energy concept to the village at large. As a result, the HWS (Holzwärme Stellshagen eG) cooperative was established. As an indicator of the community commitment, the initial construction stage received around € 450,000 invested in the system which included a central boiler house, a 200 kW wood-chip heating system, a thermal solar system with 96 square metres of solar energy technology and more than a kilometre of pre-insulated, flexible pipes to ensure an energy-efficient heat transfer. The energy produced by the heating plant fuelled by a mix of forestry timber, residual timber and timber from rural conservation in the region, is transferred to the connected buildings by an energy-efficient local heating network, ensuring an eco-friendly and economical power supply that is largely independent of other energy sources. To optimise the energy-efficiency of biomass local heating networks, it is important for the system to have the correct layout and proper control. So during the planning of the Stellshagen system, particular attention was paid to making sure that the right piping system was used. 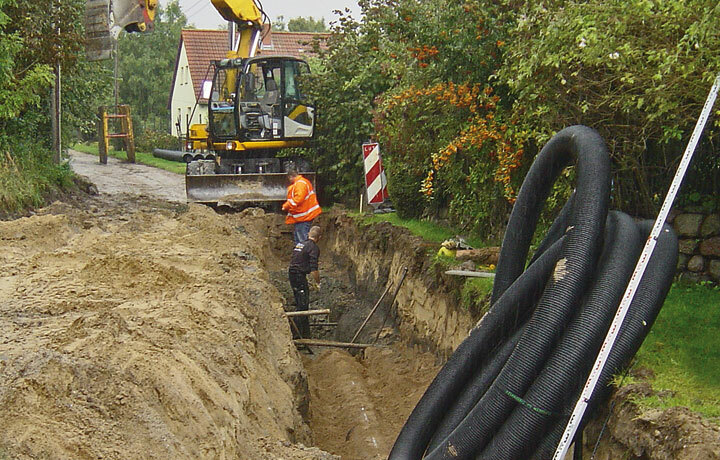 To ensure reliable operation of the local heating network in the long term and to minimise energy loss during the transfer of energy, the project planners – Ingenieurgesellschaft Schiller & Drobka GmbH – recommended Thermaflex to the developers as a partner, because their Flexalen brand pre-insulated pipe systems had already delivered successful outcomes over a number of other similar projects undertaken by the Belzig-based company. The Flexalen energy system pipes deliver an array of benefits including corrosion, pressure and temperature resistance, a service life over two decades and also the key advantage of homogeneous welding. 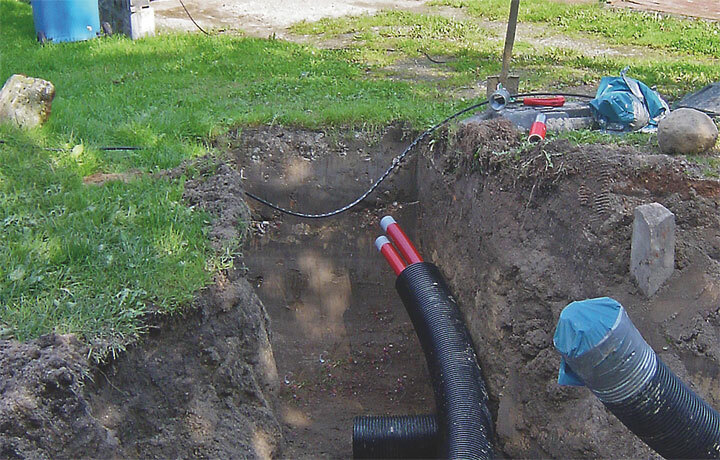 Thanks to the extensive range of sizes, pre-insulated mouldings and innovative accessories, it was possible to assemble the complex pipe system rapidly with comparatively few connections. In order to link the heating plant to 14 homes and one hotel building and to prepare for future new housing in Stellshagen; around 1,200 metres of pre-insulated, flexible Flexalen pipes were deployed in single and double pipelines in the state-of-the-art local heating network. The use of the advanced Flexalen PB-1 piping system from Thermaflex is a major reason why the residents of Stellshagen are the first in the region to have their own centralised heat supply that is both ecologically and economically efficient. And this is just the start – HWS is already planning to extend the heating plant for more household connections.